The moon is the earth's satellite and circles around it at an average distance of 239,000 miles or 384,000 km. Although the moon is made of much the same kind of material as the earth, there is no air or water, so that it cannot contain any known life. The moon is just over one-third the size of the earth. It takes between 27 and 28 days to travel round the earth. Each orbit of the moon takes one lunar month. 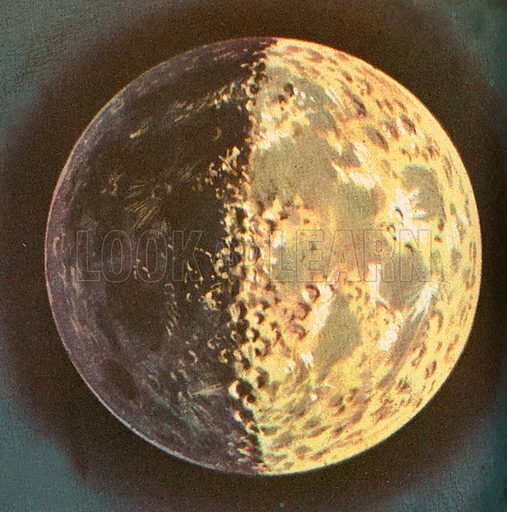 Lunar months determine the phases of the moon and the cycle of the ocean tides. Available worldwide for immediate download up to 3,979 x 4,021 pixels.